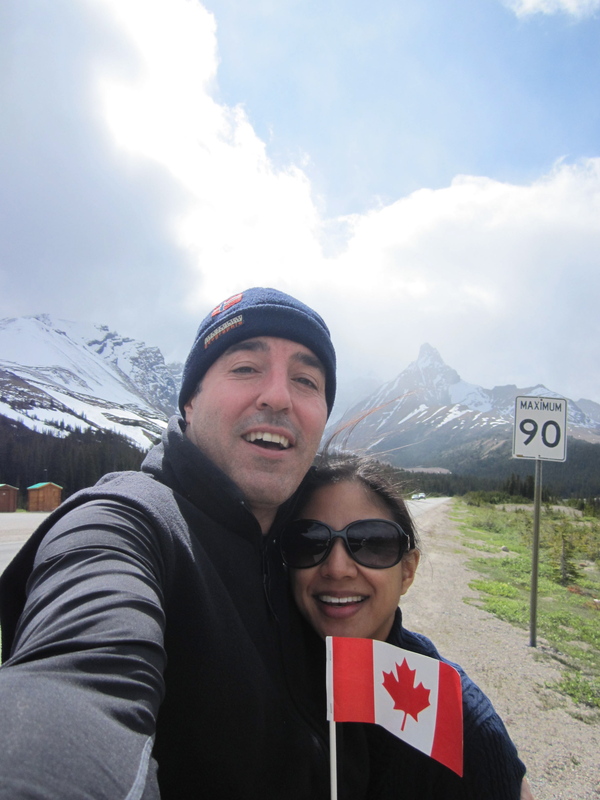 From Moraine Lake, we drove along the Icefields Parkway which is the highway connecting Banff and Jasper national parks. It’s the most beautiful drive I’ve ever experienced. Not like a bungling jitney ride in polluted Manila. Not like zig-zagging on coastal cliffs on the Amalfi Coast. Not like getting whiplash in a cab in Shanghai. But fresh air, natural landscape, and furry wildlife. 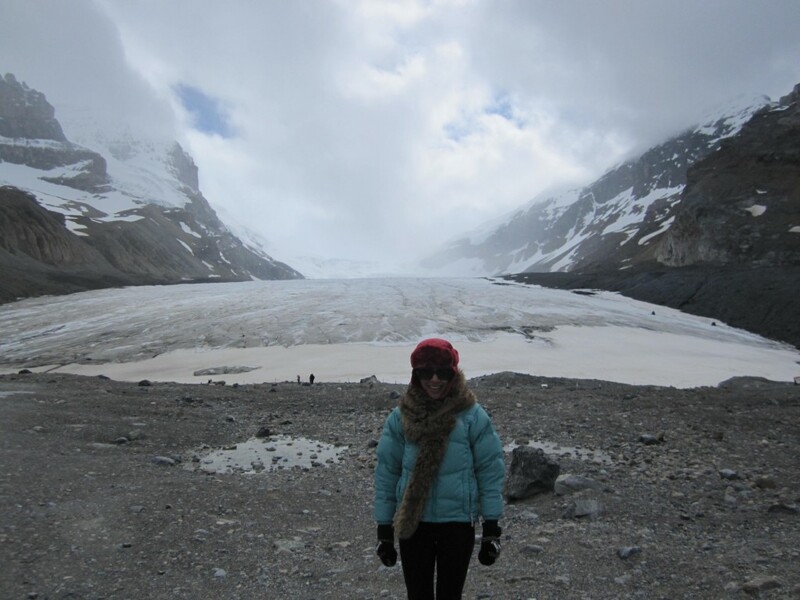 Below I am freezing, but happy in front of the Athabasca Glacier—the most visited glacier in North America. I couldn’t get any closer it was so cold and the wind was whipping debris all over my face.